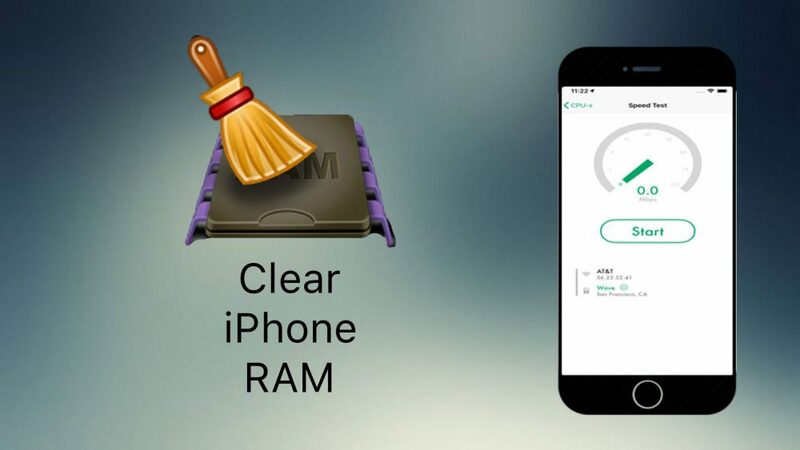 Clear RAM memory on iPhone – Hello readers, Today I will show you guys a new method on how you can clear the RAM memory of your iPhone. of course, this will work on any iOS device & any iOS version and you don’t need to be jailbroken. Now earlier we used to do a method, which was going to the power down menu and then holding down the home button until it goes to the home screen and that would clear out the RAM memory of the iPhone. of course, that worked is still works. But it’s now kind of harder doing it on the iPhones without a home button. you will have to activate assistive touch to do that. but now there’s a new and easier method on how you can do that. So let’s go ahead and see how you can do it. So just to illustrate this, if you go through the widgets panel then you have the different widgets right there that show the RAM memory of your iPhone. so you will see the percentage of your iPhone RAM memory and now what you need to do. so download an app called CPU X. This app allows you to clearly RAM memory of your iPhone. the app is very useful as well and you will find a ton of information regarding your device from the device info, processor and memory to the display, network, battery everything regarding your device will be right here. But of course, we’re here to talk about the RAM memory. so all you gotta do is just open the app and just go to memory and it will show you the RAM memory of your iPhone. So just take a look at the RAM memory. once you see, how many RAM memory you have left then just hit the cleanup button and then it will increase your RAM memory. It’s cleaning the RAM memory and you will see that it will go down the free RAM memory. it will go down and then it will increase of course once the process is done. it’s really really greate a really awesome app very useful as well. as I said it has a ton of other information as well regarding your device. so go ahead and get this app, you can download it for free. you will find the link below. this app called CPU X allows you to clear the RAM memory of your iPhone. So that’s it for this article. guys, this article was about how to clear RAM memory on the iPhone with a new method. thank you guys for reading this article and being with us. Hope you have got something from this article and if you like this post then why don’t you share it with your friends, family members, and on the social media and also visit daily on this website. because we update here every day new and helpful articles like this one. you can also follow us on our Facebook page then you will never miss any upcoming update.